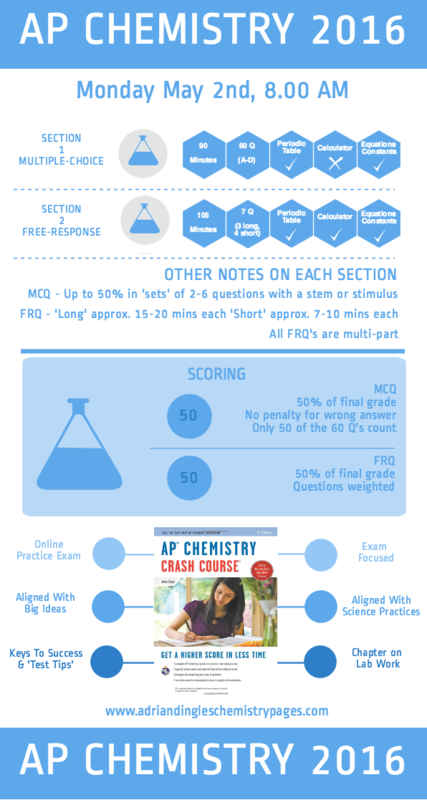 The 2016 AP Chemistry Infographic is shown below in its PNG form. Alternatively, you may download a pdf version if you prefer that format. Please feel free to use liberally both electronically and in hard-copy. Hopefully everything is self-explanatory (after all that’s the point of the infographic), but if not, please don’t hesitate with any comments or questions.